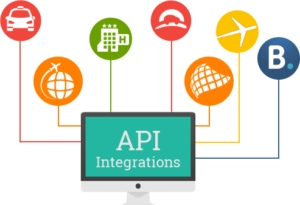 What do we mean by API integration and development? As we all know Application program interface API is a set of routines, protocols, and tools for building software applications. An API specifies how software components should interact. Most of the business owners who are running e-commerce are in need of API integration and development services, especially when a merchant is selling same products on multiple E-Commerce channels like Amazon, eBay and more and they want to aggregate all orders into one system for accounting and tax purpose. APIs can be consumed (to the extent that an application outsources certain requirements to an API) and provided as a service. At Snowmicro Technologies, we have spent over a decade to design & develop ITES and IT Solutions for Small Business and Large business, from small to enterprise level. We have been serving the clients across the globe for years with a list of satisfied customers. You can find our Office in Florida, Africa, India (Chandigarh, Shimla). We are committed to the most innovative applications for Entertainment, E-commerce, and Enterprises. Providing value-added services can give any business an edge over competitors and build loyal customers. We specialize in delivering custom software solutions, SMS development, software development, web development, UI and UX design, VAS solutions for telecom operators, SEO and digital marketing & have a professional team of hybrid mobile app developers and creating and integrating API. ❏ Reply Back in next 24 hours. ❏ Best SMS & USSD Solutions Provider. If you are in search of an API development and Integration service facility, then Snowmicro Technologies can benefit you with the best IT solutions worldwide.